However if you were looking for a more comprehensive review then please read on. 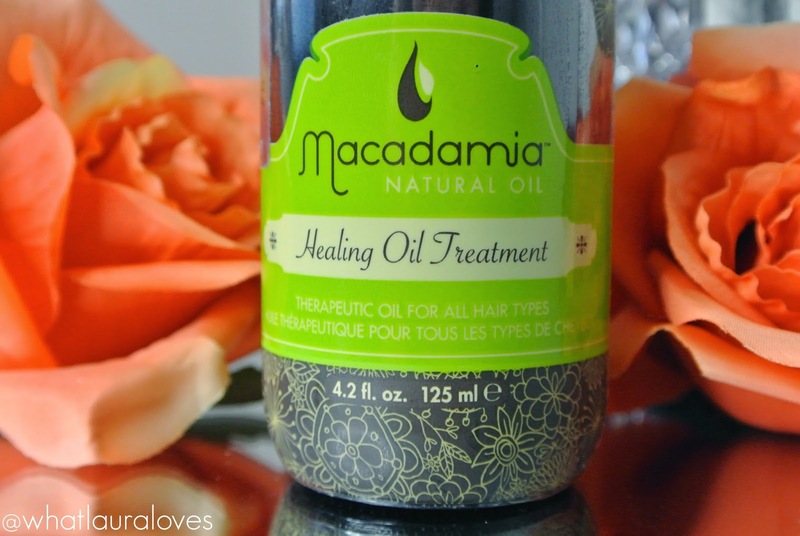 The Macadamia Healing Oil Treatment is a hair oil that can be used to soothe and smooth any hair type and that’s something I really stand by. While you’d think that a hair oil would only be suited to those with very dry and damaged hair, I have to say that it has worked exceptionally well for me and I have very fine, greasy hair. I’ve tried other oils in the past, such as the Moroccan Oil but it just doesn’t work wonders for me the way that this oil does. I’ve recommended it to my friends with afro hair, countless friends with thick hair, curly hair, fine hair, course hair, Chinese hair, long hair, short hair, you name it, I’ve recommended it and they have all, yes really ALL, loved it. What sets the Macadamia Healing Oil Treatment apart from other hair oils is that it really, truly does work miracles on the hair and when you stop using it you can really tell. It is very effective without being thick and heavy in texture which is a real benefit to using this oil, especially if you’ve been disappointed with even oils designed for thin hair in the past. 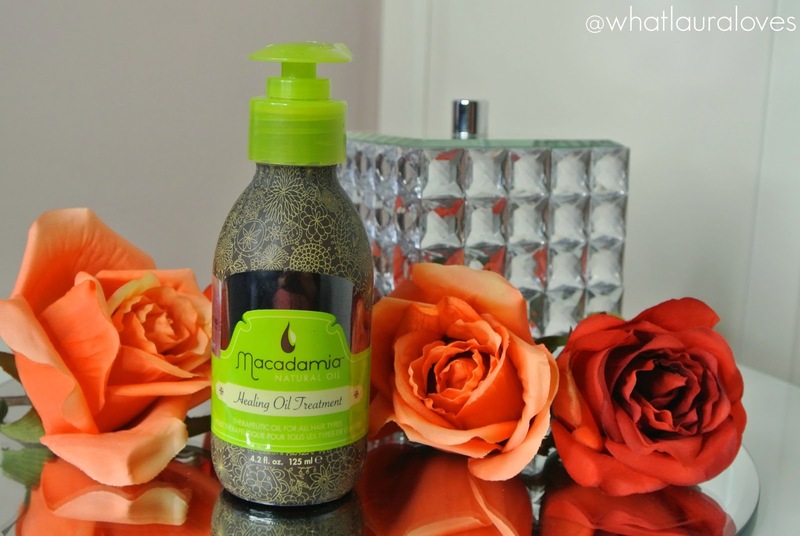 I’ve tried many products from Macadamia Natural Oil before and this is by far the best. I have repurchased many of the smaller bottles and finally received one of the big bottles for my birthday this year. I first saw the benefits of this oil when on honeymoon in Barbados. I started to apply the oil to my hair after washing it and left it to sink in right until the last minute before I blow dried my hair to style it. I found that my hair looked glossy, healthy and smooth, particularly on the ends which were a little frazzled by the sun. What I loved about it the most was that I could reapply it before going to bed and I would wake up with healthy, shiny hair that wasn’t greasy or oily in the slightest. At last, I had found an oil that wasn’t so heavy that it weighted my hair down and made it look even more greasy! This oil is literally PERFECT for me. Towards the end of the holiday, I ran out of the hair oil and I could notice a massive difference with my hair as it looked wild, a hell of a lot drier and it had lost its glossy, healthy look. It was also more difficult to brush through and become less manageable, even when trying to use other products in place of the hair oil. Since getting back from my honeymoon, I have used this oil religiously. I have tried out other hair oils for my blog but I have found that my experience with them has been short lived as I’ve always had to come back to this one as nothing else compares to it. I use it when blow drying my hair to give a sleek, glossy, nourished finish to my hair and ends and I use it on dry hair to finish off a style to smooth it and on my hair before bedtime to deeply nourish my hair overnight. The oil sinks in very quickly and doesn’t leave a greasy feeling on my hair or hands afterwards. It leaves my hair feeling extremely well nourished and looked after, as though I’ve just stepped out of a salon. I have also tried out the hair oil on my hair when wearing micro ring extensions and I have found that while my hair is usually quite difficult to comb through when I have washed my hair and extensions, it isn’t when I have used this oil. 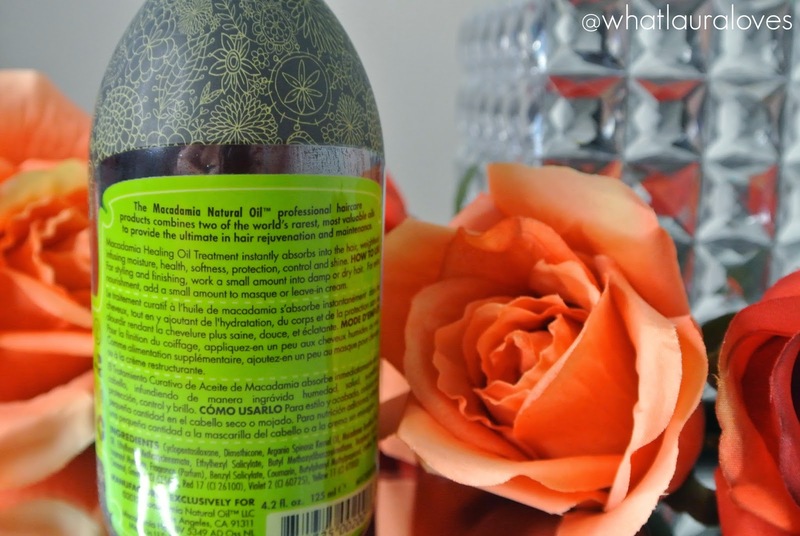 My natural hair isn’t particularly unruly generally but it can be hard to comb through with the extensions in and this oil really solves that so if you have hair that is in need of a bit of a detangling, then definitely try this out! I’d also recommend it for those who have frizzy hair as it gives a really sleek, frizz free look to the hair, without having to use straighteners. I tend to leave my hair to dry naturally and then finish it off with a hair dryer and as this product provides natural UV protection, I don’t feel the need to overload my hair with other products. I honestly cannot sing its praises enough, give it a go for yourself and you’ll understand why I love it so much! I’ve just ran out of this bottle last weekend and I’m kicking myself that I didn’t pick up another bottle when I last placed a Feel Unique order as I can notice a difference in my hair already with not using it. I’ll definitely be repurchasing! Let me know what your favourite hair oils are in the comments and if you’ve tried this hair oil, please tell me what you think about it!